﻿ Mukdara Beach Villa & Spa Hotel, Khao Lak | FROM $57 - SAVE ON AGODA! 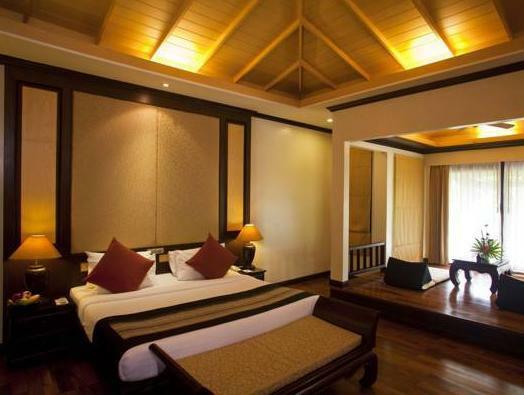 "Great pool area, nice big rooms in main building, poor wifi,..."
Have a question for Mukdara Beach Villa & Spa Hotel? 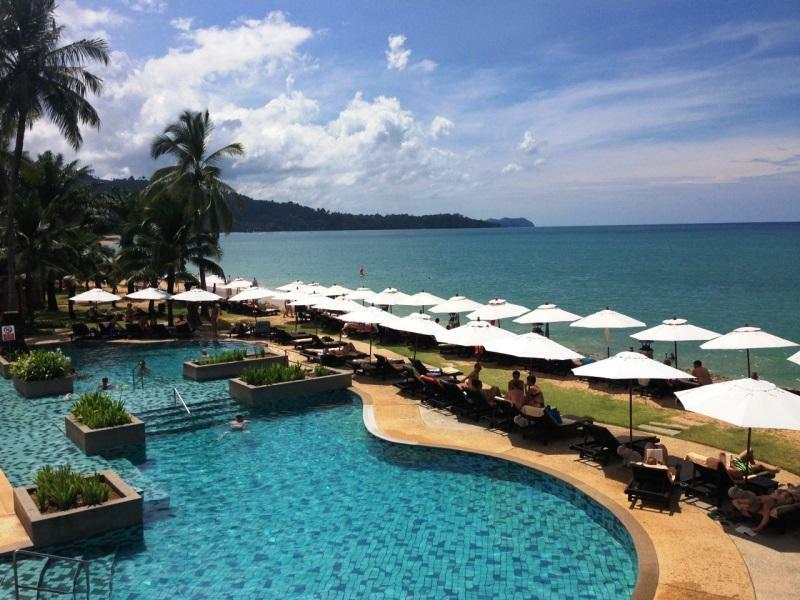 "The location is great and they provide seamless transport from and to Phuket airport." "The beach is very good without stones and nice for swimmng!" "Very nice room with bathtub and balcony!" "Nice garden and beach with two swimming pools, not very new..."
Set on 16 acres of beautifully landscaped gardens facing the golden sands of Bang Niang Beach, the 4-star Mukdara Beach Villa & Spa Hotel is a short drive from Khao Lak’s major tourist areas and close to Khao Lak Lumru National Park. The spacious rooms are set on a gentle hillside with excellent views and uniquely designed by melding Thai high roofing with the luxury of Spanish culture. Facilities include a beachfront swimming pool, library, kid's corner, sporting activities, restaurants, and a bakery offering international and Asian cuisine. To make your reservation at Mukdara Beach Villa & Spa Hotel, please proceed to our secure online booking form. Children aged 3 - 12 years will be charged THB 275 for breakfast upon check-in. This is a nice hotel with all necessary facilities set in a lush garden with cool shade, water ponds and flowers. Good breakfast with many dishes and fruit to choose from, the duplex villas we stayed in are spacious and comfy enough. The rooms are a bit tired and the bathroom faucets ask for replacement though. The cleaning is just ok but pretty superficial. The hotel offers two big pools, a free tennis court and a small gym. The beach is so-so with waves and sandy water but it's long if you like beach walking and go to the left, the right side is rocky and impassible. The beaches and sea water are pretty much the same in all Khao Lak, we didn't see much difference when we went to the White Sand beach to compare except for the sand color. So I would definitely not consider the beach quality as a major factor when choosing accomodation in Khao Lak. The location is very good, with lots of cafes and a market nearby. The hotel feels more relaxed, and not crowded compared to its neighbors. Fantastiskt 4-stjärningt hotell med 5-stjärning service! 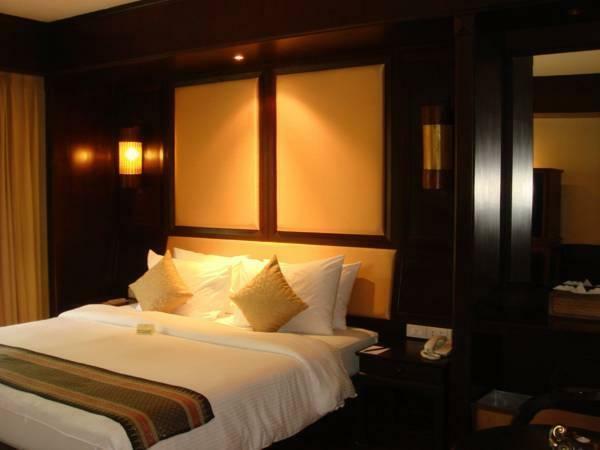 Clean and beautifully appointed room with an excellent pool. The beach area was nice and the resort is very well located. The breakfast buffet was only Good, and my one lingering disappointment is the Wi-Fi, which was only working for about half of the 10 days that we stayed at the resort. It was perfect! This was everything you can want in a hotel... well, it's actually a full resort. Its got its own beautiful beach, amazing pools all over the resort, great staff, great dining, plenty of bars..... great location! Just a 2 minute walk from everything Phang Nga has to offer. We will definitely be back. The only possible thing keeping this from being 5 stars from a demanding guest (not us) is that it kind of (but not really) old fashioned in the rooms. But the rooms at the same time were big, clean.. big bathroom, very well maintained. I love the traditional look but that may be the only reason why it's 4 stars and not 5. But for my wife and I this place was 5 stars! By the way the value is unreal! This is a friedly thai style resort with a beautiful gardenarea and directly on the beach. Hotelarea is large with a lot of space. Nearby are many possibilities for dining. Hotel has only one own reataurant. Hotel has a good location directly besaide the sea. Hotelrooms have no seawiev . On the nearby street you have shopping and dining possibilities. Staff was very friendly and the overall atmosphere was great. Hotel is thaistyle and has very nice garden. 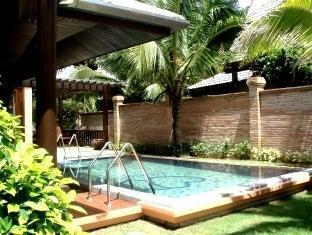 + Nice garden and beach with two swimming pools, not very new but comfortable and cosy! The beach is very good without stones and nice for swimmng! Incredible sunsets! - Wifi didnt work inside rooms. It was breaking down all the time! They tried to fix it but no result! If you dont like animals like birds, lizzards, frogs ... not your place! Great pool area, nice big rooms in main building, poor wifi, lots of ok restaurants around. Not the cheapest resort but worth every penny. Friendly staff, great swimming pool, nice room and great breakfast. Good value for money, got a lot more than what we expected. We stayed 4 nights at the Mukdara and had a very good time. The staff at the reception is lovely and helpful at all aspects. The gardens are nicely groomed and make it an amazing environment. However on a closer look, the facilities need repair works, which includes the rooms. Unfortunately we had to upgrade the room as there's no hand shower in the Villas (difficult to shower a toddler). The upgraded unit was an exact replace except for the modern Jacuzzi in the bathroom - faucets however were loose so temperature hard to adjust. Water pressure in the sink non-existent. Staff at the breakfast buffet needs to be asked for coffee several times, not very attentive despite being plenty around. Children swimming pool unfortunately full of bugs and dead flies, not given much attention for a cleaning. With a few minor improvements the Mukdara could be an excellent place, with the above points however it makes it just "good". Great location and facilities. The wi-fi was very unstable, even though the room was located 4 meters from the router, and when up and running it was as very slow. The food was good, but the waiting time for the food took 45 long minutes. We just arrived back yesterday. 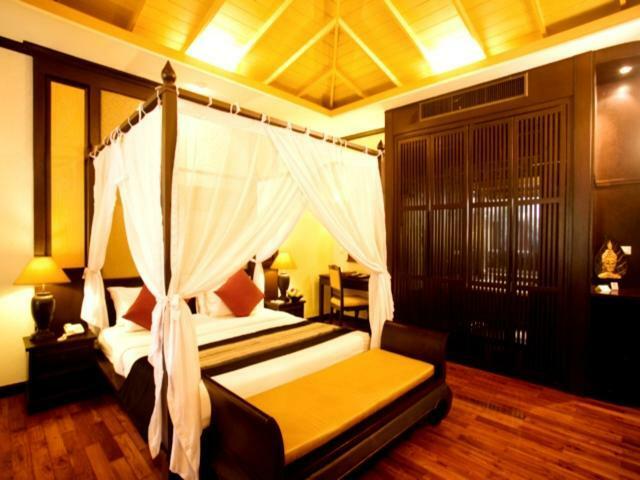 Mukdara was a beautiful Thai style property in a fantastic location. The villa's are just beautiful, the gardens are magnificent and the pools a just fabulous. We stayed in green season and they downsized the buffet breakfast but there was still a lot to choose from and the quality was outstanding. I loved this place and will go back. The only down thing was they packed up the deck chairs from around the beachside pool which meant you had to sit in the coconut grove chairs. The pool assistant was kind enough to leave 2 chairs for us around the pool which was great, but not sure why they packed the others up, it just takes a little of the ambiance away from sitting around the pool. Excellent.